A budget is a basic financial planning tool that all people should have. As lawyers at a prominent bankruptcy firm in Plantation, we are constantly surprised at how few clients have created a budget. As a result, few of them fully understand how much money they make each month and what exactly they are spending their money on. 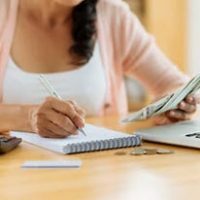 If you are in financial distress, then creating a budget—and sticking to it—could be the ticket you need to get back on your feet. At a minimum, a budget will help you realize if you need to file for bankruptcy to truly get out from under your debts. The first step is to identify those monthly expenses that you must pay every month that are fixed. For example, your rent or mortgage should be the same amount every month. Also, your car payment and insurance premiums should cost the same each month. It is wise to also consider credit card debt a fixed expense. If you pay on time, the amount due will decrease a tiny amount, but you generally pay the same each month. If a cost isn’t fixed, then it fluctuates month to month. For example, the amount of groceries will probably change a little. So will the amount you spend on gasoline or medical care. Many people struggle to track how much they spend. We recommend that you download an app to keep track or write everything in a notebook. Keep track of everything you spend, and don’t forget anything, no matter how small. After a week, add up all of the expenses. Ideally, you will track expenses for an entire month to come up with what you spend on variable expenses. If you paid for everything with a credit or debit card, you can look at your monthly statement and easily calculate the amount. This should be easy. If you are employed by someone else, find your pay stubs. Self-employed people have a little more work to do. Pull up your bank records and average how much you made in a 12-month period. Unless your fixed and variable expenses are below your monthly income, you need to cut something. Start with fixed expenses. Admittedly, these are hard to cut. After all, you can’t lower a mortgage unless you sell your home, and you probably want to avoid doing that. However, some fixed expenses can be eliminated easily. Your Amazon Prime, Netflix, and gym memberships cost the same amount each month. Do you really need them? Instead, you can get books and DVDs from your local library or exercise outside. Variable expenses are often easier to cut. Instead of eating out at restaurants or buying take-out, you can cook a low-cost meal at home. Instead of spending hundreds on gas, you might get a bus pass for a couple of months. And instead of running to Starbucks, you can brew your own coffee at home. After looking at your budget, you might see that you have no hope of ever paying off your debts or even living within your means. At that point, you need to consider your options. A consumer bankruptcy can help wipe out certain unsecured debts, like medical debt or credit card bills. Speak to a Plantation bankruptcy attorney today to consider your options. Call Nowack & Olson at 888-813-4737 to schedule a free consultation.